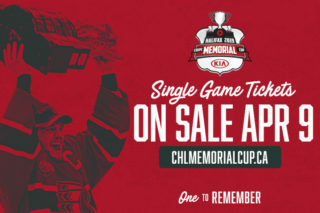 SASKATOON, SK – The Halifax Mooseheads captured the 2013 MasterCard Memorial Cup with a 6-4 win over the Portland Winterhawks in the Championship game on Sunday, May 26th, at Credit Union Centre in Saskatoon, SK. 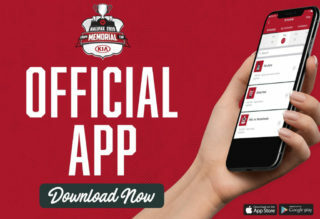 The Top-ranked team in the Canadian Hockey League got all-star performances from its top players, with 17-year-old Nathan MacKinnon leading the way with three goals and five points, and Jonathan Drouin picking up five assists as the Mooseheads claimed their first Memorial Cup title. MacKinnon’s performance will go down as one of the best in tournament history, and certainly deserving of his MVP Award. In a match-up between the top two teams in the CHL, the Mooseheads were able to win the battle between teams with top-end talent and skill. 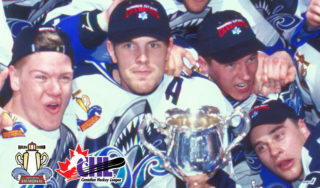 Lifting the Memorial Cup over their heads caps off a spectacular season for a Halifax team that lost just 12 of the 89 games they played all season. 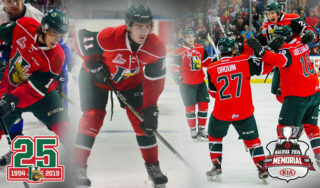 While the Mooseheads are an incredibly deep team, not enough can be said about the performances of their top stars. 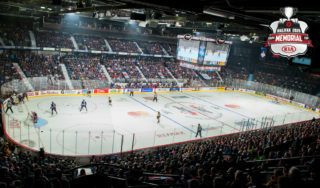 Head coach Dominique Ducharme said even though he’s used to seeing his two stars – Drouin and MacKinnon – rise to the challenge on a nightly basis, their effort on this night is above and beyond. “They like playing in big games,” said Ducharme. “Tonight, we’ll rank it No. 1 because of the outcome, the meaning of the game, you can’t have bigger moments than that. “But, I think all 20 of our guys played great, and everyone brought what they are good at and helped the team win,” he said. For the Winterhawks, the game represented a chance to redeem themselves after losing 7-4 to the Mooseheads in round robin play. Blessed with plenty of stars of their own, the Hawks got outstanding efforts from Ty Rattie and Nicolas Petan, who both finished with a goal and three assists. However, it was not enough on this night to get the better of a very strong Mooseheads team. Pouliot and his Winterhawks teammates can hold their heads high after enjoying their best regular season in franchise history, capturing the Ed Chynoweth Cup in their third consecutive appearance in the WHL final, and making it all the way to the MasterCard Memorial Cup final. Both teams naturally wanted to get off to a good start in the game, but that honor belonged exclusively to the Mooseheads, with the QMJHL Champs opening up a 3-0 lead while firing 19 shots on Mac Carruth. Konrad Abeltshauser opened the scoring 6:31 in, blasting a point shot past Mac Carruth with the Mooseheads on the power play. Nathan MacKinnon doubled the lead 1:29 later, snapping home a shot from the slot for his fifth goal of the tournament. Martin Frk also netted his fifth marker of the tournament, 15:59 into the period, one-timing a shot past Carruth after a great cross-ice pass from Jonathan Drouin, who assisted on all three Halifax goals in the frame. The Winterhawks came out a far different team in the second period, outshooting the Mooseheads 18-6. Led by their top line and a determined Seth Jones, the Hawks were creating chances off the rush and dominating with their cycle game and puck movement in the Halifax zone, scoring twice in the period while having another waived off. Nic Petan got the Winterhawks on the board with a shorthanded marker 10:36 into the second period. Rattie caused a turnover, fed a pass to Petan in front, and the 17-year-old made a nice deke on Zachary Fucale. Rattie thought he had pulled the Hawks within one goal 14:16 into the frame. The puck flipped up over the net and Rattie gloved it down in the crease and swiped it in. However, after review, it was determined Rattie never touched the puck with his stick before it crossed the line and the goal was waived off. Seth Jones, a man on a mission in the second period, did pull the Hawks within one late in the frame, taking a centering feed from Rattie from behind the net and burying it past Fucale. The top ranked skater for the 2013 NHL Draft was a force in the game with his ability to rush the puck and create offensive chances. MacKinnon doused Portland’s momentum in the third period when got his second goal of the night, 7:36 in, picking up the puck on a bounce off the end boards, curling out front while fighting off the check and chipping a shot over Carruth’s shoulders. Abeltshauser got his second goal of the night 11:11 into the third period to put Halifax up 5-2. The Winterhawks, though, kept making it interesting. Brendan Leipsic pulled the Hawks within two with 5:28 to play in the period, burying a rebound off a shot from Petan off the rush. Rattie scored with 1:16 to play to bring the Hawks again within one, but MacKinnon put the game on ice with an empty-net goal to complete the hat trick and clinch the MasterCard Memorial Cup for the Mooseheads. MacKinnon took the Stafford Smythe Memorial Trophy as the tournament MVP and claimed the Ed Chynoweth Trophy as the tournament’s Top Scorer, edging out Rattie by one point. 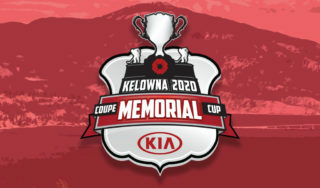 Andrey Makarov of the tournament host Saskatoon Blades was named recipient of the Hap Emms Memorial Trophy as the tournament’s Top Goaltender, and Bo Horvat of the OHL Champion London Knights’ earned the George Parsons Trophy for Sportsmanship. MacKinnon and Mooseheads’ teammates Martin Frk and Konrad Abeltshauser were named to the tournament All-Star team, along with Portland’s Rattie and Pouliot. Halifax netminder Zachary Fucale was also selected to the All-Star team.